Enjoy the riverside picnic area in front of this beach house. View of the beach house (on the first floor) from the riverside picnic area. 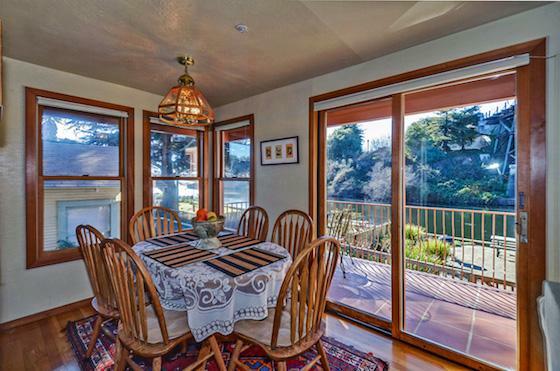 Balcony off of dining room to enjoy the serene view of the river. View of the riverside picnic area from the deck from the beach house. 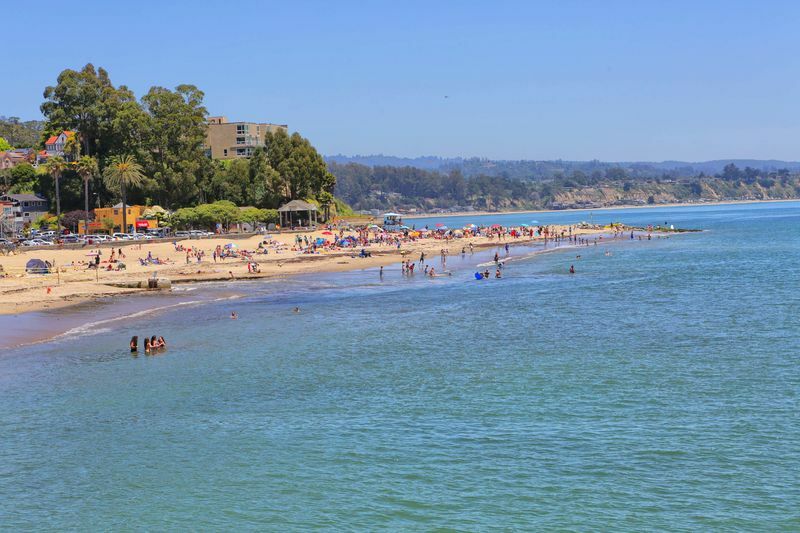 Enjoy your vacation at the Riverview Condo in Capitola! Stay 3 nights for the price of 2 this Off-Season. 3 Night minimum in the Summer. 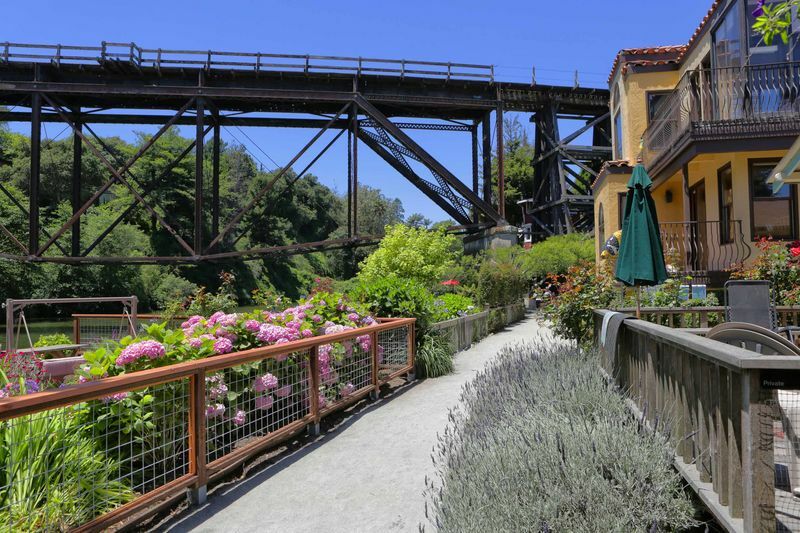 Welcome to the Riverview Condo in Capitola Village! 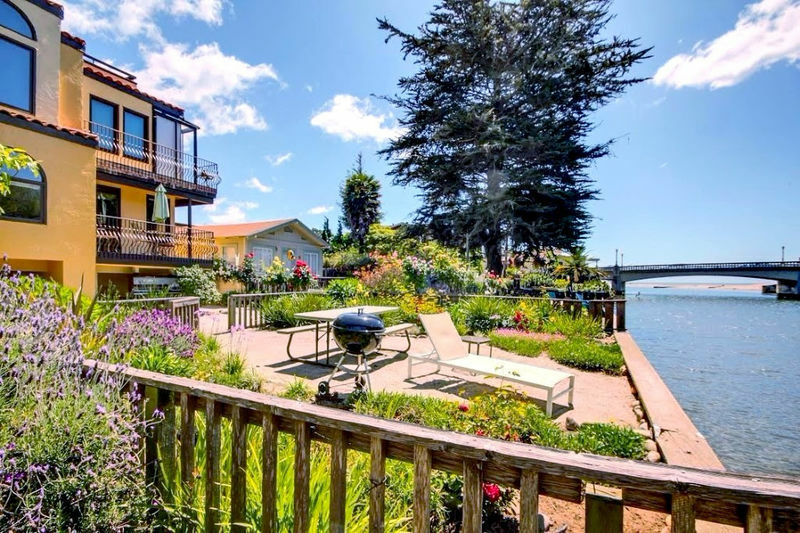 With wonderful views of the river from the main living room and dining room, enjoy this pet friendly beach house that has 2 bedrooms, 2 bathrooms and sleeps 5-6 guests. 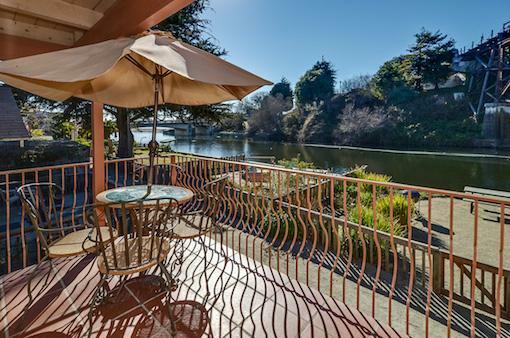 Enjoy spending your vacation with a peaceful river view in this lovely Capitola Vacation Rental, located just a short and leisurely stroll to Capitola Village. 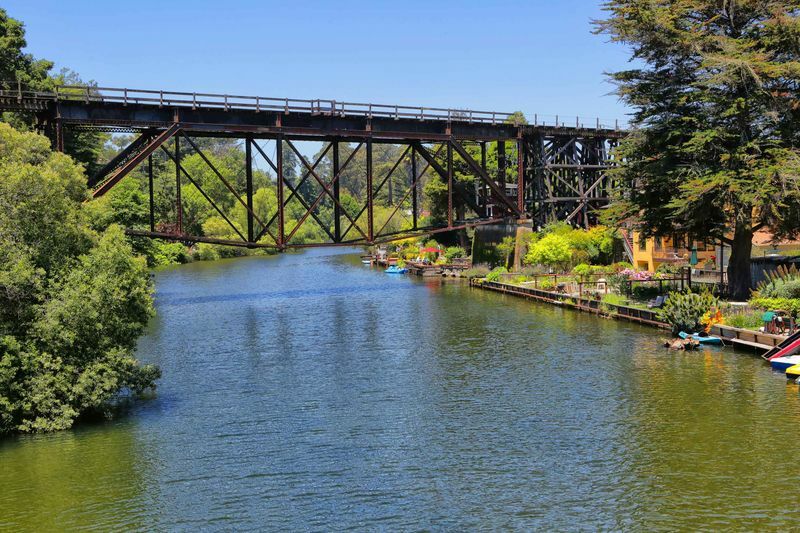 With views overlooking the Soquel Creek from the living room, dining room and kitchen, this fabulous 2 bedroom, 2 bathroom condo is accompanied by a wonderful deck, which faces the river, giving you peaks of the ocean, and the historic train trestle. For the warmer days, you can take in the sounds of the coastal wildlife and river as you relax with a book in hand and the sun on your face. Or perhaps you'd prefer to enjoy a BBQ or picnic along the riverside picnic area directly in front, which is shared with the other tenants in the building. On cooler (or rainy) days and evenings, share stories and gather with your friends and family around the fireplace in the living room. 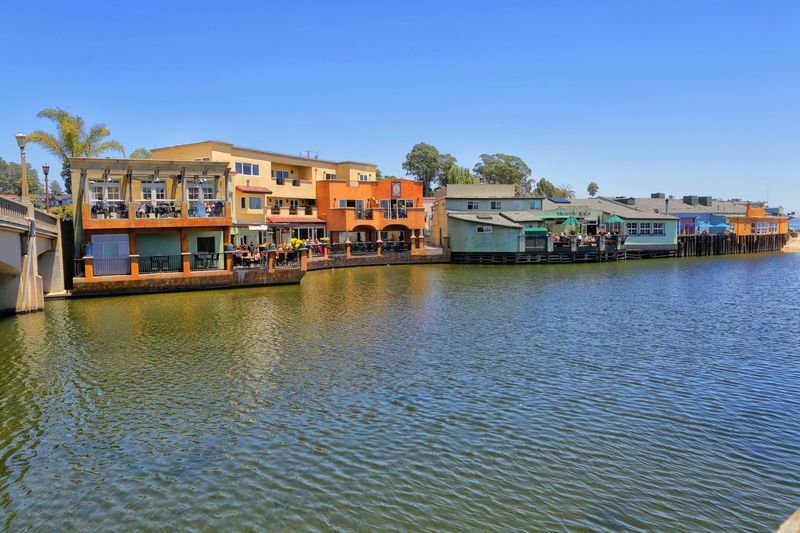 Only one block away, take a short and leisurely stroll along the riverside pathway to Capitola Village, restaurants, boutiques and - of course - the beach. 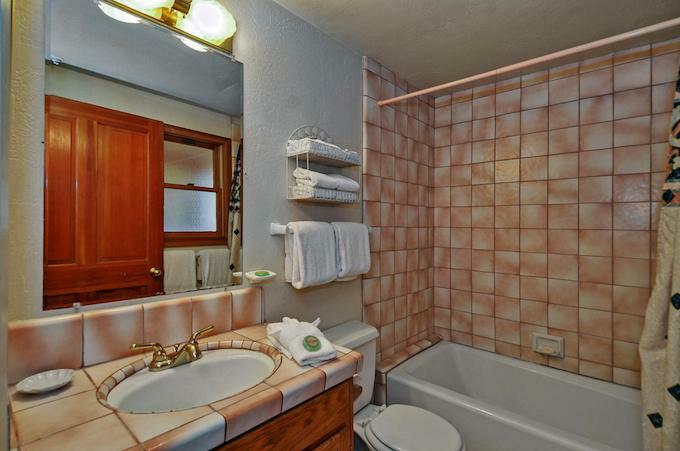 This vacation condo is furnished and decorated with lovely antiques and local art throughout. Just 10 steps up to the front door, this quiet and comfortable condo is perfect for a family of 4-5 or two couples (and your dog, too!) to enjoy a memorable visit to the coast. 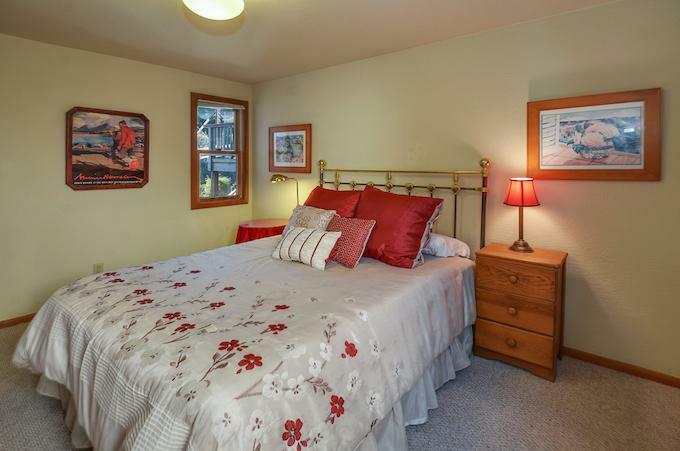 Provided with plenty of storage space for your belongings, the first bedroom has a full-sized bed, the master suite has a queen-sized bed, and the futon in the living room folds out to sleep one adult comfortably (or 2 kids). This condo offers parking for one car. 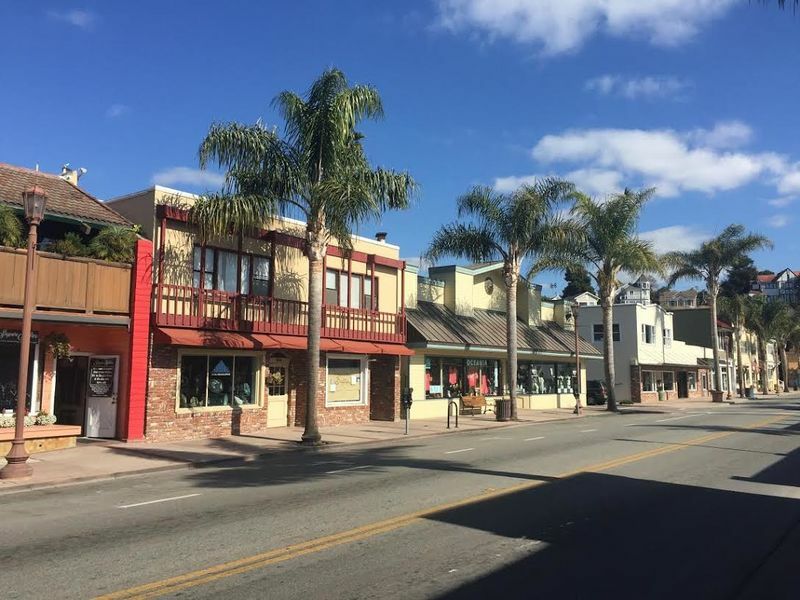 For guests traveling with more than one car, we recommend parking them in one of the two large parking lots just a short minute’s walk away that allows free overnight parking and a small daily fee. 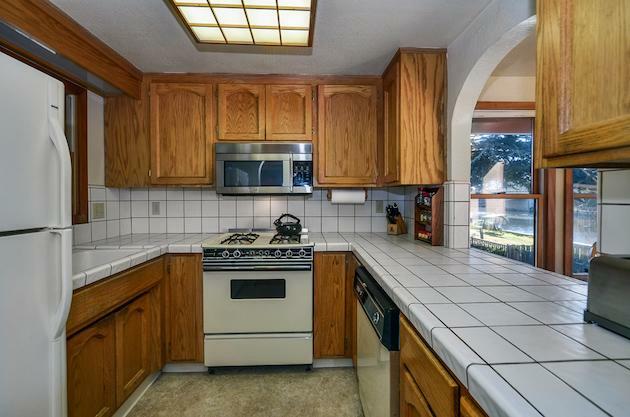 This property has Wifi. 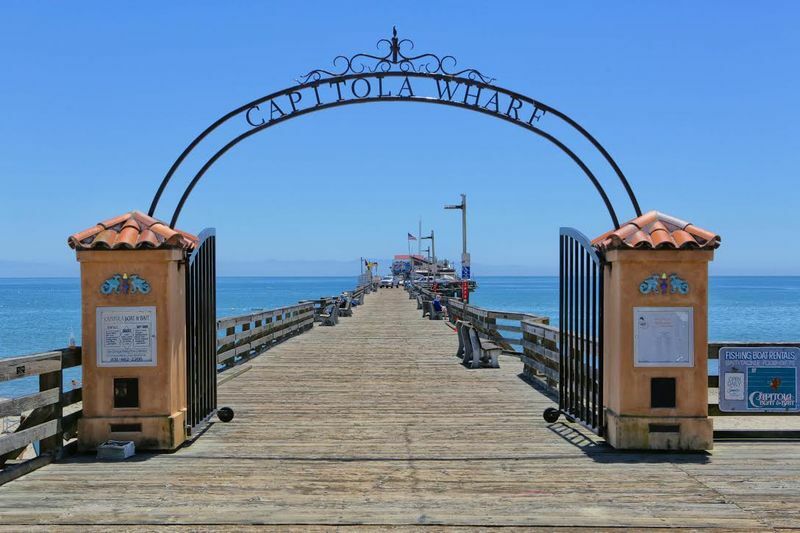 Enjoy Capitola Village for your whole stay or venture out to explore all the secret spots in Santa Cruz (just 10 minutes away) or drive down Highway 1 to Monterey, Carmel or Big Sur for a day trip! 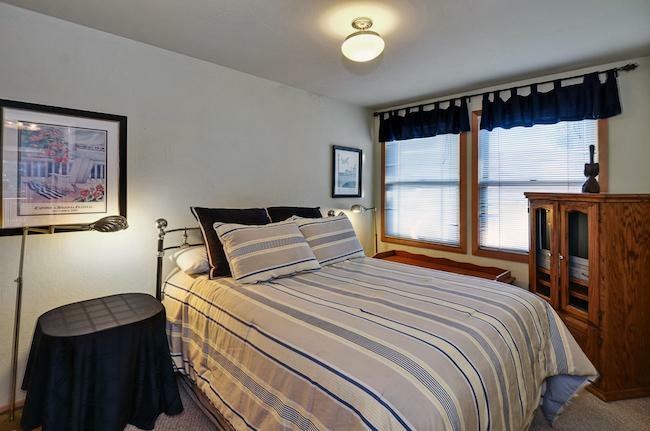 Bed Sizes: 1 Queen (in the Master bedroom), 1 Full (in the second bedroom), 1 Queen futon sleeper (in the living room). Linens Provided! 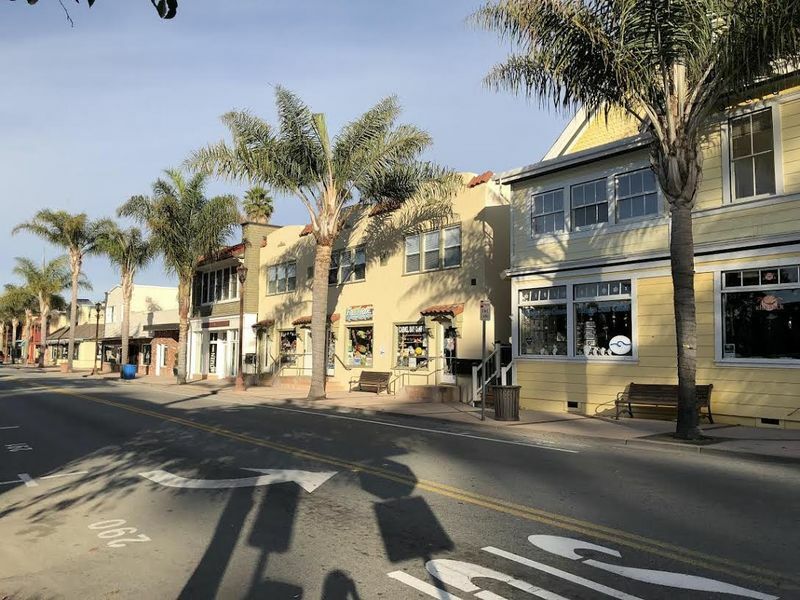 Convenient Amenities Include: Wifi, large mounted flat screen TV in the living room, fabulous views, laundry facilities, parking for one car in the carport, and Pet Friendly. From the ground, walk up 10 steps to get to the front door. No stairs inside. 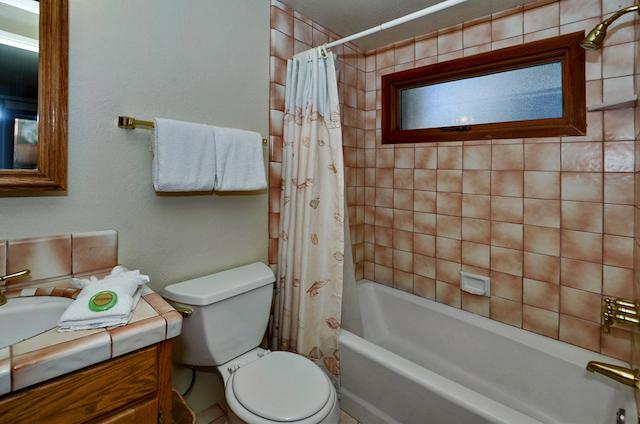 After you've stepped inside, on the right you will find one full bathroom (with bathtub) in the hallway, the bedroom with the full-size bed and then the master bedroom with queen-size bed and attached master full bathroom (with bathtub). To the left from the front door is the living room, kitchen, and dining room. 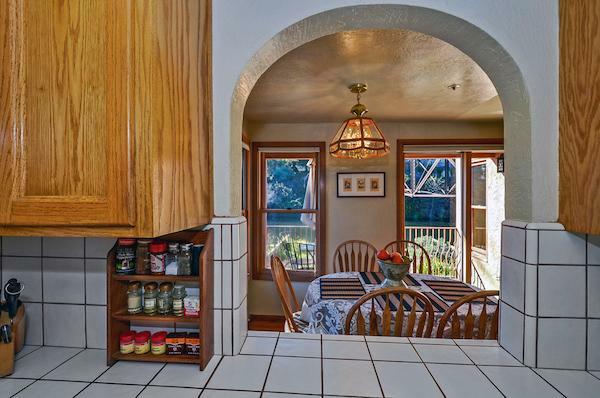 Off the dining room you can step out onto the deck with patio seating to enjoy the serene riverview.